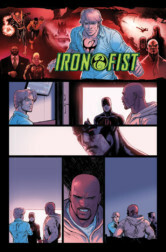 At a press conference yesterday, Brian Michael Bendis, David Marquez, and Tom Brevoort filled us in on DEFENDERS #1. 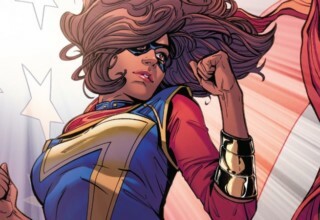 The series will follow the same cast as the Netflix series, who are also characters Bendis has written extensively in the past. This is the DEFENDERS series Bendis has been planning for since his run on NEW AVENGERS, even before each character made their Netflix debuts. In this press conference, the team tells us all we can be excited for when DEFENDERS makes its debut next month. 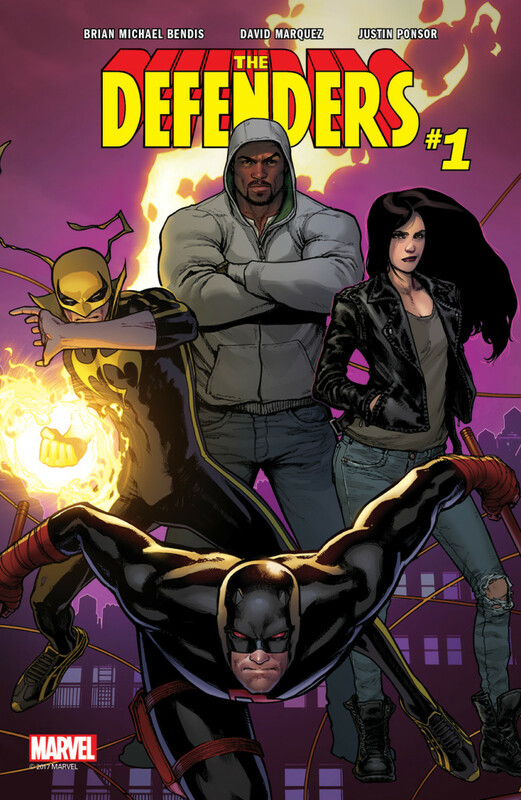 DEFENDERS #1 is out on June 14th, but the story begins this Saturday at Free Comic Book Day. 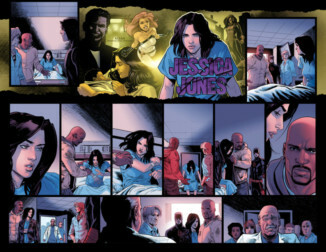 The FCBD issue hits the ground running when Jessica Jones’ newest client reveals they have important information on each of the Defenders and attacks each of them personally. “The villain is connected very personally to one of the four,” Bendis reveals. “The Defenders can’t help but push back and have to reinvent the rules for how they do things.” This villain is particularly scary and threatening to the cities and boroughs of New York. As a result, the Defenders decide to stand together and tell the city they have its back. READ: We got the scoop on ALL-NEW GUARDIANS OF THE GALAXY at the last press conference! DEFENDERS leans more towards a neo-noir look. For inspiration behind this influence, Marquez cites BLADERUNNER and JOHN WICK, as well as artist Bill Sienkiewicz. 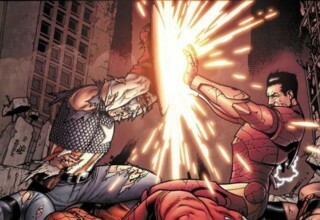 David Marquez most recently worked with Bendis on CIVIL WAR II, where each character embodied a great visual tone. For DEFENDERS, Marquez brings together a smaller, more intimate cast. The emphasis is on the street level status of the team and the city in which they reside. Marquez explains that line art and colors can work together in equal ways. With Ponsor, the duo utilizes the grittiness, emotion, and acting that come across in a New York story. 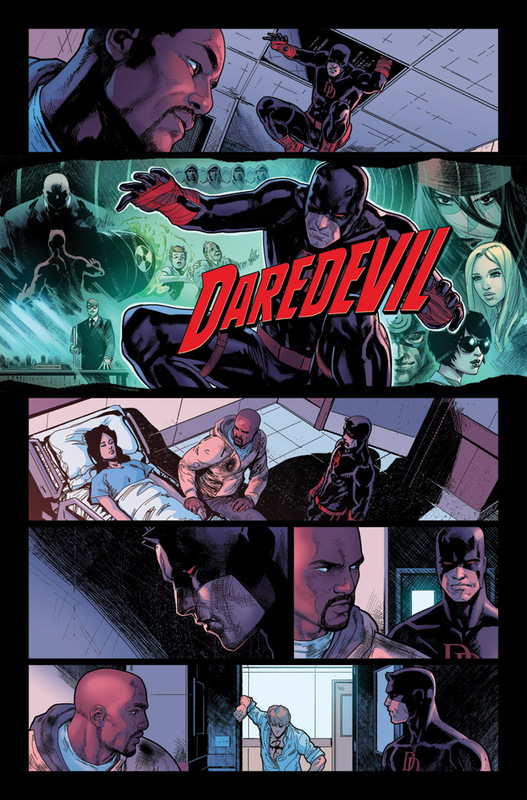 Bendis’ goal with DEFENDERS is to bring as much realism and humanity as possible. With a history of crime fiction in his bibliography, Bendis is inspired by a similar vibe. “Escapism is much more visceral because it feels like this is a bar you could walk into,” he explains. 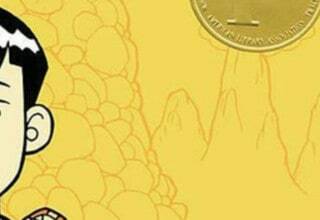 “These feel like real places.” The characters react to each other and the world around them — a world readers can easily find themselves in. 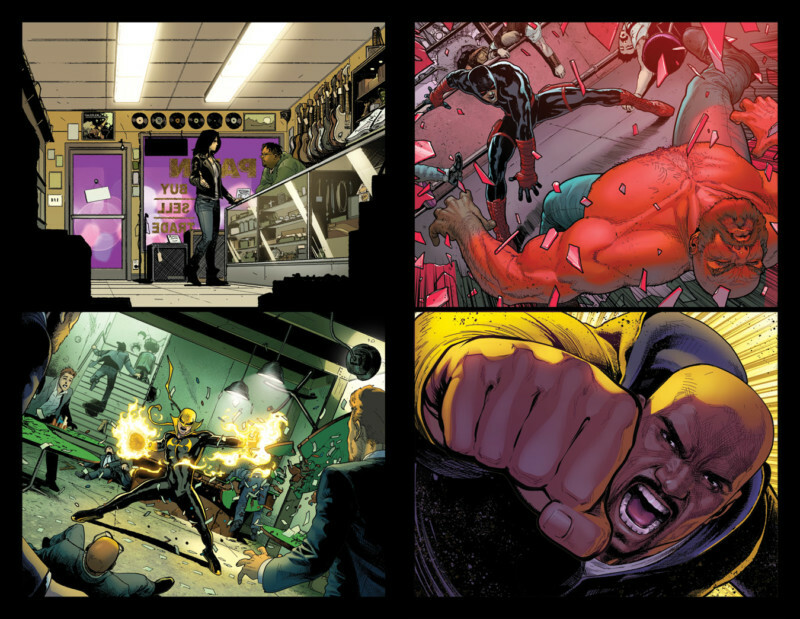 We asked the team: “Since the Defenders are a street level team, and with the city being its own character, can we expect the team to tackle any real world issues?” Bendis responds that the real world issues will stem from each character’s individual place in the world. 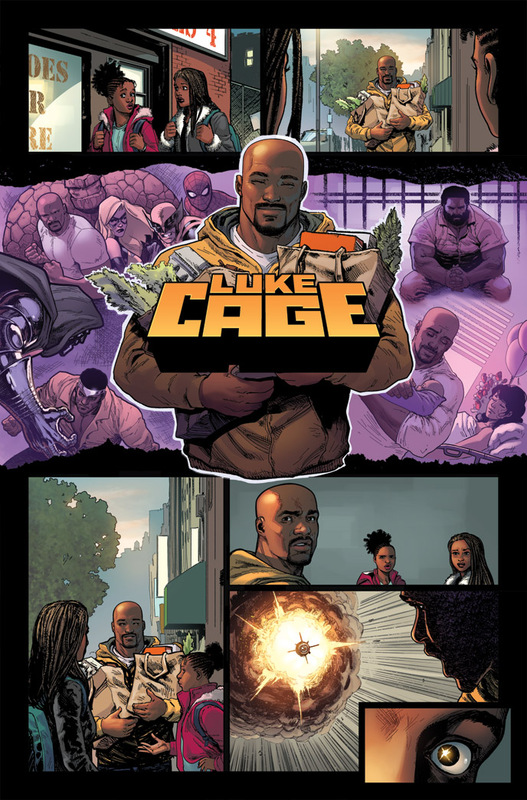 Luke Cage, Jessica Jones, Daredevil, and Iron Fist each have diverse experiences that they bring to the story. 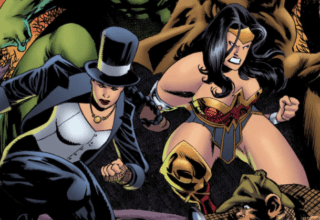 “Crime is a real world issue in general,” Bendis adds. “Street level isn’t a power set – it’s an address.” Bendis and Marquez describe the city itself as a character that the team will interact with. Like any character you don’t know, it could be a partner or an antagonist. Because the Defenders have a reputation, the city reacts accordingly. People feel like the Defenders have saved their lives, but at the same time, there are people who will respond to them negatively. 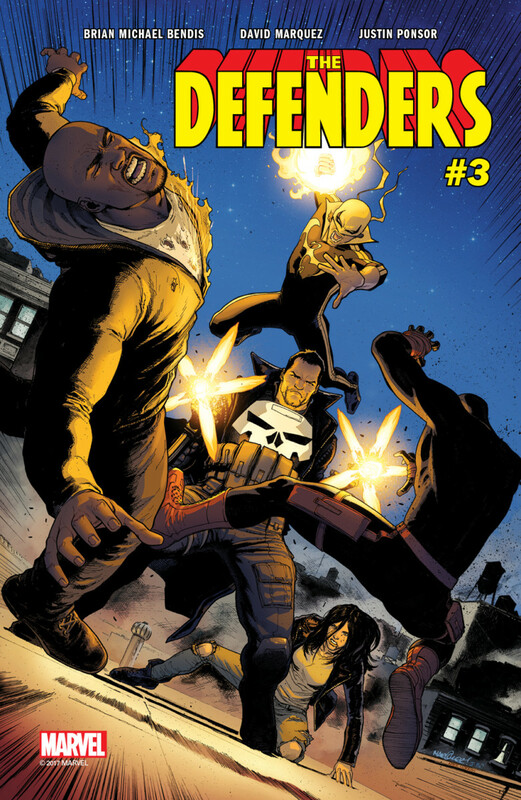 Bendis reveals that DEFENDERS #3 will start what is a signature piece of the series. 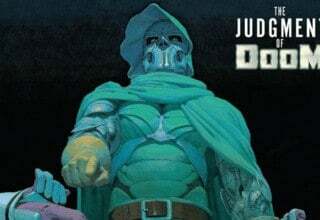 The city itself will narrate part of the story; the people will share their own insight into the Marvel universe and the streets they inhabit. It’s the New York we all know, but also the one the Defenders know – with characters like Dr. Strange and Blade making appearances. 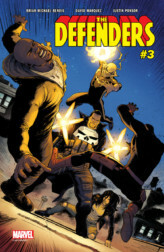 Punisher will play a role in DEFENDERS starting with DEFENDERS #3. With the series’ street level tone, will he have the same goals as the heroes? “Punisher will interact with the Defenders in a way that will surprise people,” Bendis reveals. He will be a contributing player behind the mystery of who is the big villain. 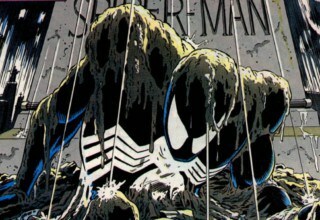 Aside from Punisher, we can also expect to see Spider-people, mutants, and Night Nurse. 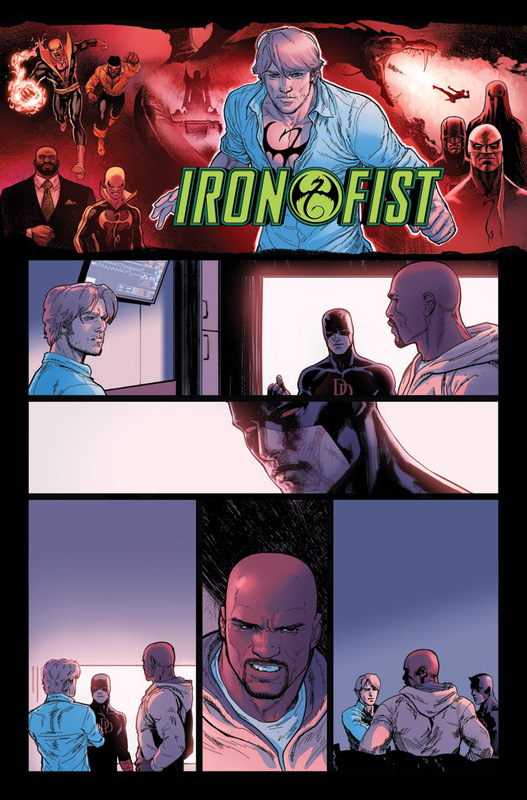 Considering the history that comes with the DEFENDERS title, there will also be Defender vs. Defender action in this series. Superheroes who spend their time protecting the city often find companions with the same goal. Bendis explains that this Defenders team are already a family. 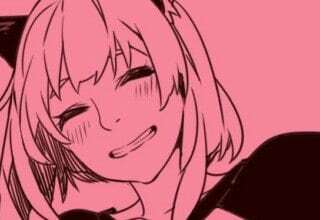 And as a family, they carry all the positives and negatives that come with it. They trust each other, they understand each other – but they also know how to get on each other’s nerves. As a family, there won’t be one specific leader. Each character will step up when they have to, because they’re in it together. This contributes to the tone and defining characteristics of DEFENDERS and this particular team. 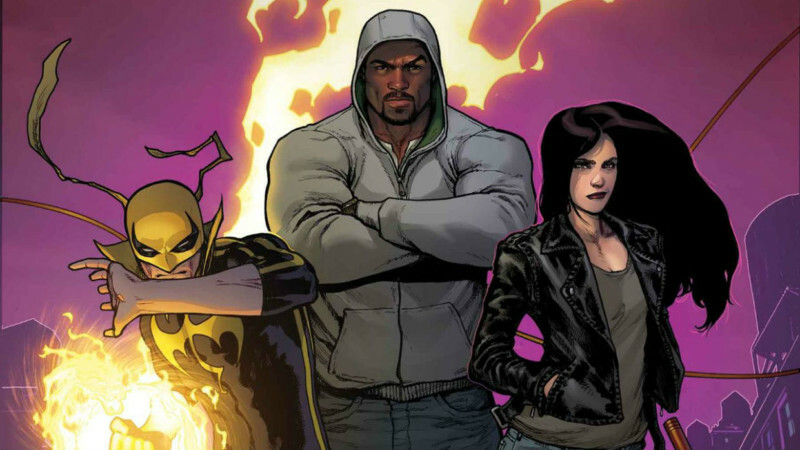 DEFENDERS is going to be the first chapter of a brand new story in Marvel comics. 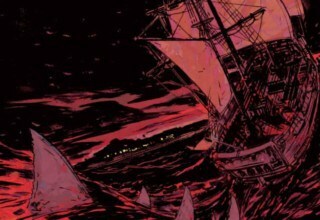 Bendis explains that it’s a series for old fans, new fans, and fans of the Netflix shows. 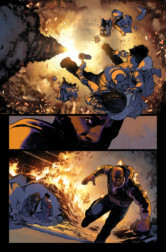 Every issue has at least one surprise that left Bendis smiling each time the creative team was able to pull it off. With Brian Michael Bendis’ heavy history working with these characters as well as with David Marquez, DEFENDERS is a series you won’t want to miss. 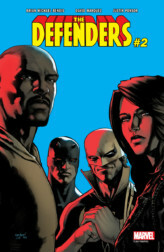 DEFENDERS #1 hits shelves June 14th, but don’t miss the beginning this Saturday at Free Comic Book Day! 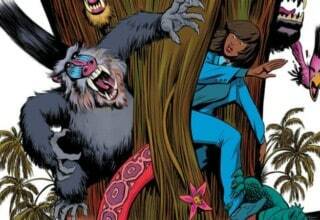 Previous article X-MEN GOLD #3 Review: Kitty Pryde for the Iron Throne, Anyone?